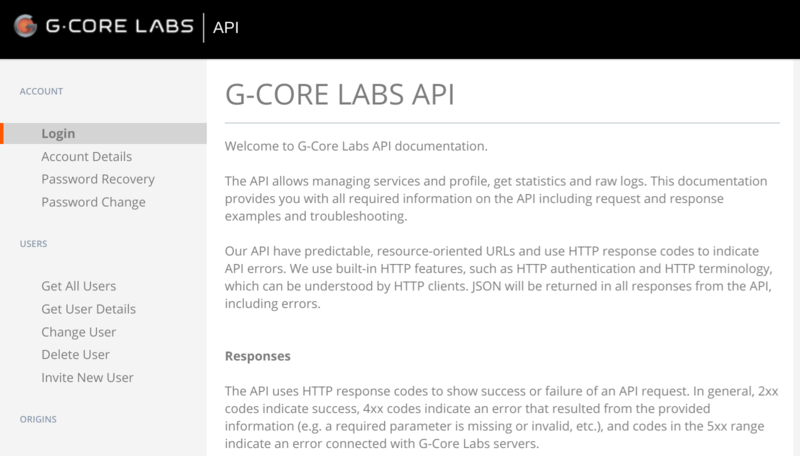 G-Core Labs Review 2019: Is G-Core Labs a Good Hosting? G-Core Labs is a record-breaking international internet infrastructure company that provides powerful cloud and edge solutions mainly to the entertainment and media industries. By its own admission, this company’s services are for serious technophiles. G-Core Labs started life in 2011. In 2012, the company established its first backbone network of seven data centers in six cities, and the following year its network expanded to include 23 data centers. Also in 2013, G-Core Labs’ infrastructure got a Guinness World Record for having the most simultaneous online players on a single MOG server, and in 2014, the company’s delivery network created a new record for simultaneous players. In 2015, G-Core Labs moved to new headquarters in Luxembourg, and in 2016 it launched the G-Host global hosting service and the G-CDN global content delivery network. The following year, it launched G-Storage (for cloud storage) and G-Protect (to protect against DDoS attacks). In 2018, the company launched its G-Stream media platform. Today, G-Core Labs has more than 100 nodes on five continents, and it offers an extensive range of CDN, hosting, media platform, security, custom software development, and IT infrastructure management services. The G-Core Labs website can be switched between the English, Russian, Chinese, and Korean languages. You can also choose a pre-configured dedicated server or virtual server so that you don’t have to decide values for all of those parameters. Due to the nature of G-Core’s server offerings, you can choose to install pretty much any operating system you like: various versions of Linux, Windows Server, or even Solaris. And SSH access gives you complete freedom to install any software and run any number of sites. You can take control of your hosting server using the pay-for ISPmanager control panel (Lite or Business version). G-Core supports IPv4 and IPv6, and it offers a wide range of (pay-for) SSL certificates from leading providers. What you won’t find here is an extensive set of beginner-friendly features such as easy website builders and one-click installers. Although G-Core Labs offers some pre-priced dedicated server and virtual server (VDS) plans, including an attractively-priced “starter” VDS plan, you need to be aware that these are pretty bare servers and there are potentially lots of additional costs. You might have to pay extra for your control panel, for your desired amount of monthly traffic, for additional IP addresses, for SSL certificates, and much more besides. The costs can get pretty complicated if you want to configure your server completely from scratch using the Server configurator, and there are additional tables of information telling you how much you will pay for monthly traffic depending on your server’s location (plus how much extra you will pay if you exceed your allowance). You can reach this company’s customer support staff via phone, email, live chat, and an online form. Existing customers can seek support by submitting a ticket from the control panel. When I tested the live chat support, I found the agent to be responsive but not particularly knowledgable. onClick="trackClickout('event', 'clickout', 'Vendor Page - Visit User Reviews', 'G-Core Labs', this, true);"
So fast! So friendship! So comfortable! It doesn't matter what kind of issue do you have. This technical support team always can help you and resolve any problem. They respond immediately and I really believe that they want to help. Great work, guys! If you’re looking for virtual or dedicated servers backed by a robust international infrastructure, and you don’t mind paying the price, then G-Core Labs could be your go-to provider. As stated at the outset, G-Core’s services are aimed at serious technophiles, so technophobes need not apply, and if you’re looking for a simple set of shared hosting plans, you should probably be looking somewhere else. For serious servers on impeccable infrastructure, go to G-Core Labs! Wondering how G-Core Labs stacks up against other Web Hosting companies? Enter any other Web Hosting company and we will give you a side-by-side comparison.